[The folks to give out the Prometheus Awards have announced the finalist shortlist this year; I'm one of the judges that serves on the nominating committee. Some pretty good reading; I've mentioned some of these books in the blog. Here's the official press release. The Management]. The Libertarian Futurist Society, a nonprofit all-volunteer international organization of freedom-loving science fiction fans, has announced five finalists for the Best Novel category of the 39th annual Prometheus Awards. The Best Novel winner will receive a plaque with a one-ounce gold coin. Plans are under way, as in past years, to present the 2019 awards at the 77th Worldcon (World Science Fiction Convention): “Dublin 2019 – An Irish Worldcon,” set for Aug. 15-19, 2019 in Dublin, Ireland. Causes of Separation, by Travis Corcoran (Morlock Publishing) – In this sequel to The Powers of the Earth, the 2018 Prometheus winner for Best Novel, the renegade lunar colonists of Aristillus fight for independence and a free economy against an Earth-based invasion that seeks to impose authoritarian rule and expropriate their wealth, while the colonists struggle to maintain the fight without relying on taxation or emergency war powers. The panoramic narrative encompasses artificial intelligence, uplifted dogs, combat robots, sleeper cells and open-source software while depicting the complex struggle on the declining Earth and besieged Moon from many perspectives. 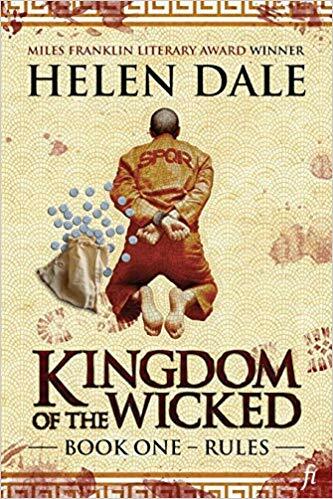 Kingdom of the Wicked by Helen Dale (Ligature Pty Limited) including Order: Book One and Rules: Book Two – The author, a legal scholar, creates a world inspired by comparative law, rather as Middle-Earth was inspired by comparative linguistics. 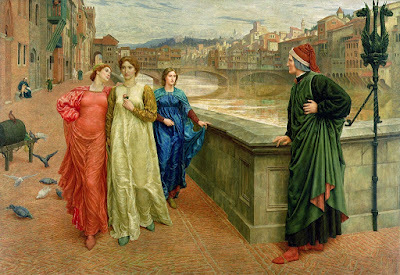 In an alternative Roman Empire, an early scientific revolution and expanding free markets led to industrialization, the abolition of slavery, increasing wealth, and modernity - and to clashes with more traditional societies. In one such clash, a Jewish preacher, Yeshua ben Yusuf, is arrested and tried on charges of terrorism in a narrative that makes ingenious use of the Gospels to reach an unexpected outcome. State Tectonics, by Malka Older (TOR Books) – This story explores questions of governance and legitimacy in a future world shaped by technology-driven “infomocracy” and subdivided into centenals - separate micro-democracies, each an electoral district with a population of 100,000 or less. A multitude of political parties vie for control of each centenal, as well as global supermajority status in a problematic system where access to approved news is ensured by Information, which also oversees elections. In this third novel in Older's Centenal Cycle, various parties struggle not only over election outcomes, but also whether Information's monopoly will and should continue. The Fractal Man, by J. Neil Schulman, (Steve Heller Publishing) – The Prometheus-winning author (The Rainbow Cadenza, Alongside Night) offers a fanciful and semi-autobiographical adventure comedy about the “lives he never lived,” set in multiple alternate realities where people and cats can fly but dogs can’t, which in one world casts him as a battlefield general in a war between totalitarians and anarchists. The space-opera-redefined-as-timelines-opera romp, full of anarcho-capitalist scenarios, also celebrates the early history of the libertarian movement and some of its early pioneers, such as Samuel Edward Konkin III. The Murderbot Diaries, by Martha Wells (TOR Books) (including All Systems Red, Artificial Condition, Rogue Protocol, and Exit Strategy) – The tightly linked series of four fast-paced novellas charts the emergence of humanity, empathy, self-awareness and free will in an android, whose origins are partly biological and partly cybernetic. The android, who guiltily dubs himself “Murderbot” because of his past acts of violence while enslaved, fights for his independence but also is motivated to save lives by growing awareness of the value of human life and human rights in an interstellar future of social cooperation through free markets driven by contracts, insurance-bond penalties, and competing corporations. For four decades, the Prometheus Awards have recognized outstanding works of science fiction and fantasy that dramatize the perennial conflict between Liberty and Power, favor voluntary cooperation over institutionalized coercion, expose the abuses and excesses of coercive government, critique or satirize authoritarian ideas, or champion individual rights and freedoms as the ethically proper and only practical foundation for peace, prosperity, progress, justice, tolerance, mutual respect, and civilization itself. The Prometheus Award finalists for Best Novel are selected by a 10-person judging committee. Following the selection of finalists, all LFS full members have the right to read and vote on the Best Novel finalist slate to choose the annual winner. 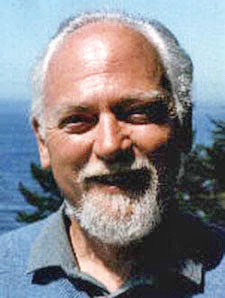 For a full list of past Prometheus Award winners in all categories, visit lfs.org/awards.shtml. For reviews and commentary on these and other works of interest to the LFS, visit the Prometheus blog lfs.org/blog.